NYC Immigration Lawyers, Naturalization, Green Cards, Deportation Defense, Brooklyn, New York - How Do I Get an Immigrant Visa Number? 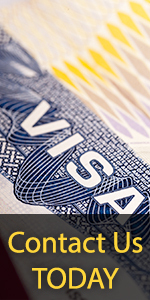 » How Do I Get an Immigrant Visa Number? For more information on how to apply for an employee to become an immigrant, please see How Do I Apply for Immigrant Status Based on Employment? In addition, please see our resources about bringing relatives to live in the United States. For more information on adjusting to permanent resident status, please see How Do I Become a Lawful Permanent Resident while in the United States? The Immigration and Nationality Act is a law that governs the admission of all immigrants to the United States. For the part of the law concerning immigrant visa numbers, please see INA § 201, INA § 202, and INA § 203. · First Preference: Unmarried, adult sons and daughters of U.S. citizens. Adult means 21 years of age or older. · Second Preference: Spouses of lawful permanent residents, and the unmarried sons and daughters (regardless of age) of lawful permanent residents and their children. · Third Preference: Married sons and daughters of U.S. citizens, their spouses and their minor children. · Fourth Preference: Brothers and sisters of adult U.S. citizens, their spouses and their minor children. · First Preference: Priority Workers including aliens with extraordinary abilities, outstanding professors and researchers, and certain multinational executives and managers. · Second Preference: Members of Professions Holding Advanced Degrees or Persons of Exceptional Ability. · Third Preference: Skilled Workers, professionals and other qualified workers. · Fourth: Certain special immigrants including those in religious vocations. · Fifth: Employment Creation Immigrants. You do not directly apply for an immigrant visa number. In most cases, your relative or employer sends a visa petition to the USCIS for you (the beneficiary) to become an immigrant. (Certain applicants such as priority workers, investors, certain special immigrants, and diversity immigrants can petition on their own behalf.) USCIS will tell the person who filed the visa petition (the petitioner) if the visa petition is approved. USCIS will then send the approved visa petition to the Department of State's National Visa Center, where it will remain until an immigrant visa number is available. The Center will notify you (the beneficiary of the application) when the visa petition is received and again when an immigrant visa number is available. You do not need to contact the National Visa Center, unless you change your address or there is a change in your personal situation that may affect your eligibility for an immigrant visa. You may contact the National Visa Center by writing to: The National Visa Center; 32 Rochester Avenue; Portsmouth, New Hampshire 03801-2909. How Can I Find Out When an Immigrant Visa Number Will Be Available for Me? Each approved visa petition is placed in chronological order according to the date the visa petitioin was filed. The date the visa petition was filed is known as your priority date. The State Department publishes a bulletin that shows the month and year of the visa petitions they are working on by country and preference category (see eligibility information above). You can estimate of the amount of time it will take to get an immigrant visa number by comparing your priority date with the date listed in the bulletin. For instance, suppose you look under your country and preference category, and see that the State Department is working on applications they received in May 1996. If your priority date is May 1998, then you may have to wait several more years for an immigrant visa number to become available. You may access the State Department Visa Bulletin at the State Department's Website, or you may call the Department of State Visa Office at (202) 663-1541, to learn which priority dates are currently being processed.